Tablet in a Minute: If you have not heard, webOS devices by HP are dead. Still might be time to find one. If you have not heard, webOS devices by HP are dead. Still might be time to find one. 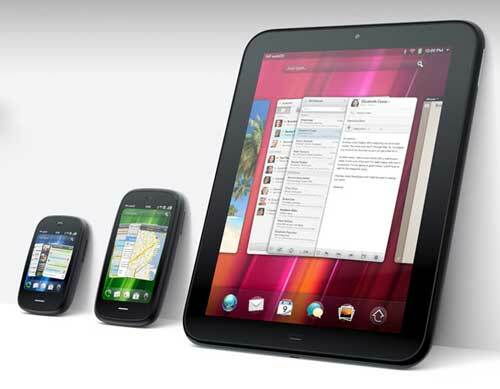 Last week at the HP earnings call they announced that they are going to discontinue making webOS devices. This means the HP TouchPad, Pre 3, and Veer are officially dead. For all webOS users this is truly a sad thing to hear. Those of you that have used the OS you know how intuitive it is. Synergy and cards are the main features that make the OS stand out. Synergy allows you to combine your Gmail, Facebook, Twitter contacts and sync calenders. Cards is the best way that we have seen multitasking be done allowing you to quickly jump between the apps that you have open and closing them with a simple swipe. WebOS's future is really unsure right now. Because HP said it is discontinueing WebOS devices and not webOS itself, this leaves hope that there will still be some sort of integration into their massive computer printer base. If you are interested in buying a TouchPad you may still have time. Saturday morning the device price was dropped to $99 for a total liquidation. Slickdeals has a list of the online retailers that have sold out and a list of those who are yet to drop the price. Today they posted you can buy it anywhere for full price and you will refunded the discount prices as soon as it drops for that site. I continued to check throughout yesterday and finally today I was able to get one at Barns &amp;amp; Noble before they sold out. EverythingPre also posted today about where to get your cheap TouchPad cases and accessories. This was a great post since I heard over the weekend that some had spent more on cases and accessories than they did on the device. With such a large webOS community the OS will continue to live on. Look for future webOS devices to come from different manufacturers in the future.